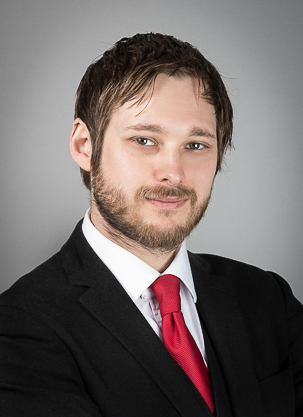 Stephen has a reputation as a tenacious advocate who quickly gains the trust and respect of his clients. He is a committed criminal defence and public law practitioner who comes to the law from a background in political activism. His approach to his cases is informed by his work with the Haldane Society of Socialist Lawyers, where he helps to co-ordinate the legal observing project. Stephen is currently briefed in a number of long-running cases with the CCRC. He has been instructed in cases in the Crown Court, High Court, and Court of Appeal which have received significant media attention. He has previously been named The Times’ Lawyer of the Week. Stephen is qualified to conduct litigation work and is able to take instructions directly from clients without a solicitor. His direct access appeals work can be seen at https://ccrcapplications.com/. Stephen is also a member of the Immigration Team. He regularly appears in the Upper Tribunal, High Court, Court of Appeal on human rights and asylum matters. He is currently instructed in a number of high-profile cases in the High Court and Court of Appeal. Stephen’s work is mostly publicly funded but he is also prepared to accept privately funded or pro bono work in appropriate cases, including on a direct access basis. He helps to run the pro bono legal clinic for EEA nationals at Akwaaba and has worked at projects including Refugee Legal Support Athens. Jurisprudence and Legal Theory LLM, Distinction, University College London. Bar Professional Training Course, City Law School. Law with French LLB, First Class with distinction in spoken French, University of Sheffield. Harmsworth Scholarship, Middle Temple, 2010. John Grosse Prize in the Common Law of England, University of Sheffield, 2010. Judicial review and damages claim in relation to the Home Office’s unlawful detention of 2 Polish rough sleepers. Defence of one of 15 activists accused of endangering safety at an aerodrome by preventing a deportation charter flight. Obtained section 4 accommodation for an asylum seeker made street homeless on release from immigration detention. Judicial review of a decision to certify the asylum application of a vulnerable gay Pakistani asylum seeker, and his unlawful detention. JS had been excluded from the Refugee Convention under Article 1F. He had succeeded in appealing this exclusion at every level of the court system, from the First-tier Tribunal to the Supreme Court. Stephen is also currently instructed on a direct access basis in a judicial review of the CCRC’s consideration of alleged juror bias in a murder case. Stephen represented Michael Luvaglio in the High Court in his ongoing attempts to overturn his conviction for the One-Armed Bandit Murder. Preparation of an application to the Criminal Cases Review Commission for a review of a historic joint enterprise manslaughter conviction. Stephen was instructed as part of the defence team led by Michael Mansfield QC in the successful defence of the Rotherham 12. The case was covered by Channel 4 and the Guardian among others. Along with Natalie Csengeri of Farringdon Chambers undertook pro bono the case of a social centre providing facilities for activist organisations in Whitechapel. Successfully defended a local authority prosecution of a woman with limited English skills and learning difficulties accused of housing benefit fraud. Represented a vulnerable survivor of torture experiencing PTSD, charged with theft, who had admitted the offence in interview. Pro bono case with the London Innocence Project pending before the CCRC, involving a historic conviction for murder. The original application was refused along with further representations. Acted as junior counsel to Mark McDonald in a multi-handed prosecution lasting approximately 11 weeks. Undertook an emergency judicial review under section 17 Children Act 1988 to compel the defendant to accommodate and provide subsistence to a family where there were issues of child endangerment. Successfully obtained accommodation for a child and their mother (a Zambrano parent) in London, through a judicial review involving an emergency out of hours injunction. Represented a defendant suffering from severe paranoid psychosis on allegations of harassment. Obtained a non-conviction disposal without hospital order or guardianship. Member of our crime group, Stephen Knight, is standing for re-election to the Criminal Bar Association's committee. On Sunday night, Samim Bigzad walked through the arrivals hall at London Heathrow, dropped his bag, and ran into the arms of his friends. This was no ordinary end to a long flight. One Pump Court is delighted to report that Stephen Knight won today's Court of Appeal hearing against Samim Bigzag's removal to Afghanistan. Mr Bigzad will be coming back to the UK tomorrow. The British Government's second attempt to deport an Afghan asylum seeker threatened with beheading by the Taliban has failed. All defendants in the trial of 10 members of the "Rotherham 12" were today cleared of violent disorder by a jury at Sheffield Crown Court. “A Critique of Law and Legal Education” (invited talk at the Law on Trial series by the Law School at Birkbeck College, University of London, 18 June 2013, and at the Radical Lawyering in Theory and Practice Conference, 13-15 September 2013). “Libertarian Critiques of Consent in Sexual Offences”, UCL Journal of Law and Jurisprudence, 2012, 1(1) p 137. This paper critiques the contemporary English law of consent in sexual offences from a libertarian socialist perspective.